The first Japanese attempt to seize Port Moresby was thwarted by the allied victory in the Battle of the Coral Sea in May 1942. 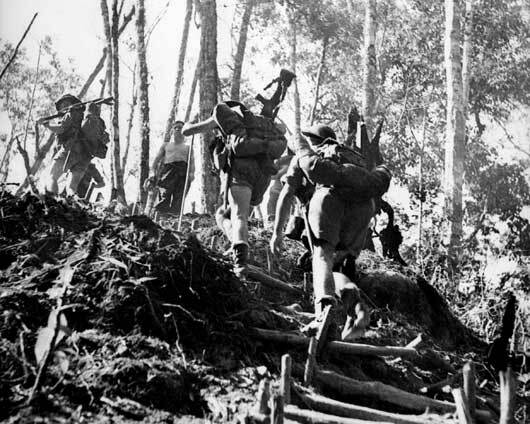 The second attempt, an overland attack across the Owen Stanley Range via the Kokoda Track, commenced with Japanese troops landing at Gona on the eastern coast of Papua on 21 July 1942. 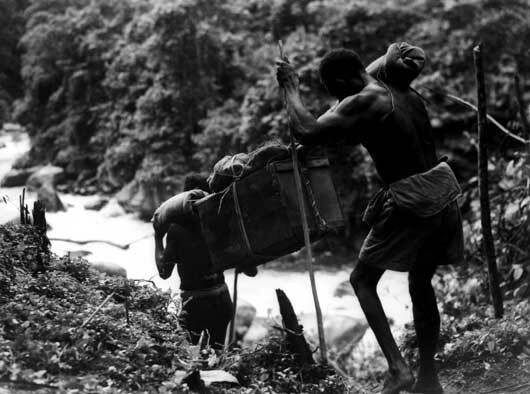 The southern end of the Kokoda Track begins at Owers’ Corner, 61 kilometres by road north east of Port Moresby. The track is 96 kilometres long and ends on the northern side of the Owen Stanley Range at Kokoda station near Kokoda village. From Kokoda village to Gona on the coast is 100 kilometres. The first fighting occurred between elements of the Papuan Infantry Battalion and the 39th Australian Infantry Battalion at Awala on 23 July. Although steadily reinforced by the battalions of 30th and 21st Brigades, the Australian force was unable to hold back the Japanese. It was poorly equipped, had not yet developed effective jungle warfare tactics, and was fighting at the end of a very long and difficult supply line. A number of desperate delaying actions were fought as the Australians withdrew along the track. 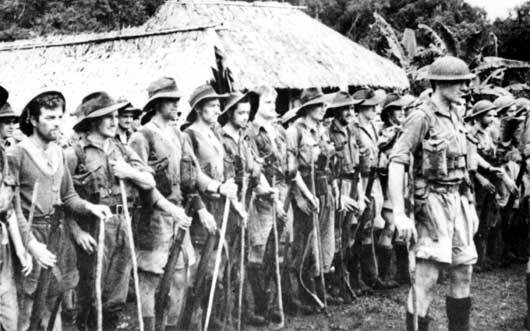 The Australians made their stand on 17 September at Imita Ridge, the last natural obstacle along the track, eight kilometres from the junction with the road to Port Moresby. The Japanese held the opposite ridge at Ioribaiwa, but this was the limit of their advance since they had outrun their supply lines and had also been ordered to go on the defensive with priority being given to the Japanese effort to defeat the Americans on Guadalcanal. The Japanese began to withdraw to the north coast of Papua and establish a defensive position there, but were closely followed by the Australians. 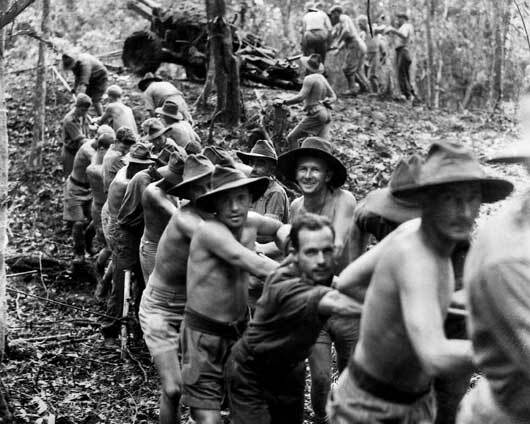 In two weeks of continuous fighting along the Kokoda track from Templetons Crossing to Eora village the Australians defeated the Japanese and drove them from the Owen Stanley Range. 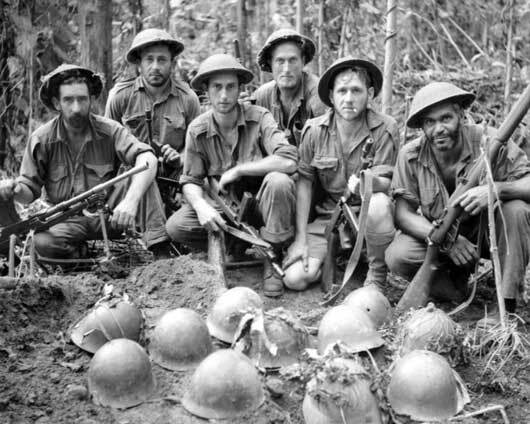 Approximately 625 Australians were killed along the Kokoda Track and over 1,600 were wounded. Casualties due to sickness exceeded 4,000. The Australians crossed the Kumusi River at Wairopi in mid-November heading for even more bitter fighting around the Japanese beachheads at Gona, Buna and Sanananda. From 19 November 1942 to 22 January 1943, unit after unit attacked against obstinate and lethal Japanese defences. Men fought and died in overgrown coconut plantations, swathes of kunai grass, dank jungle and foetid swamps. Determined to defeat the enemy they pressed on despite frightening losses. When finally the ordeal ended in victory for the Allies, approximately 1300 Australians, 1000 Americans and 6000 Japanese lay dead, intermingled across the battlefronts. Thousands of other Allied troops had been evacuated sick, diseased or wounded, or all three. Native bearers, known as 'Fuzzy Wuzzy Angels', walked long distances with heavy loads of supplies and equipment for Australian troops (AWM 013002). 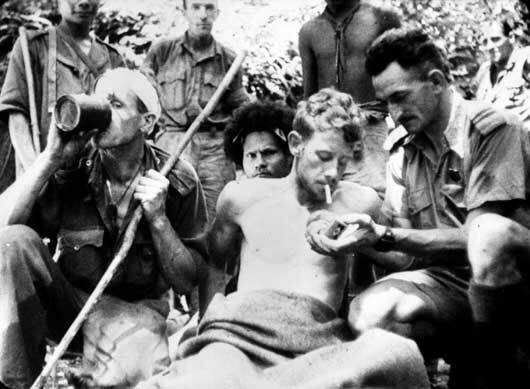 A wounded Australian soldier has his cigarette lit by Salvation Army Chaplain Albert Moore (AWM 013287). Members of the 39th Battalion parade after weeks of fighting in dense jungle during the Kokoda campaign (AWM 013289). An Australian burying party, with Japanese helmets, placed on top of a common grave (AWM 013645). 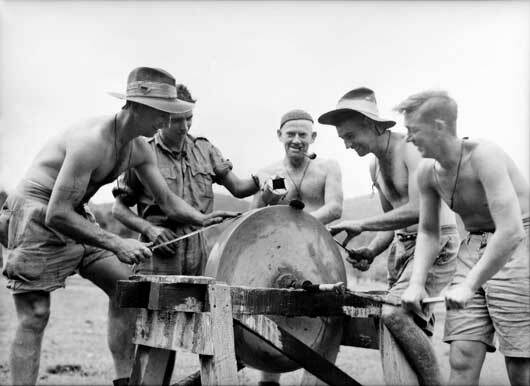 Men of the 2/14th Infantry Battalion sharpen their bayonets in preparation for battle (AWM 026261). 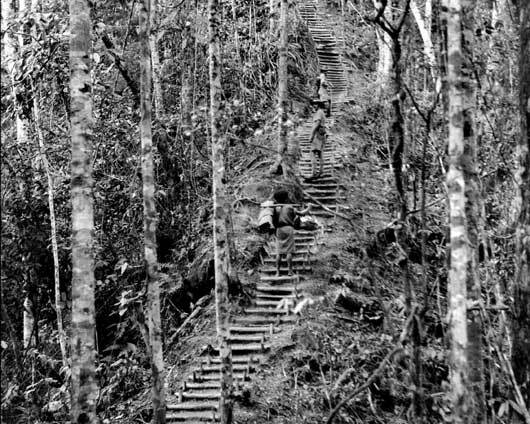 The 'Golden Stairs' that rose to the top of Imita Ridge (AWM 026837). 25-pounder guns of B Troop, 14th Field Regiment, being pulled through dense jungle on the Kokoda Trail (AWM 026855). Australian infantrymen moving up along the track across he Owen Stanley Ranges (AWM 027054). 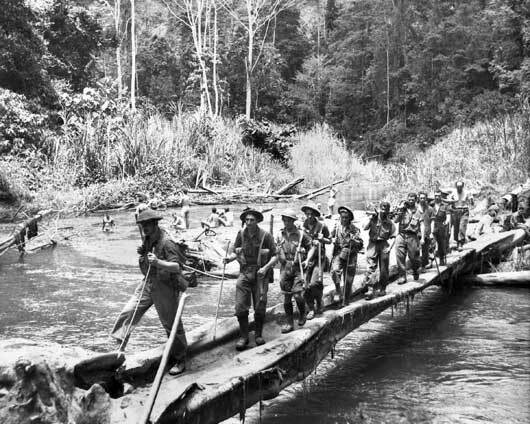 A patrol of Australian infantrymen crossing the Brown River by means of a bridge constructed from a fallen tree, on their way forward to Menari (AWM 027060).